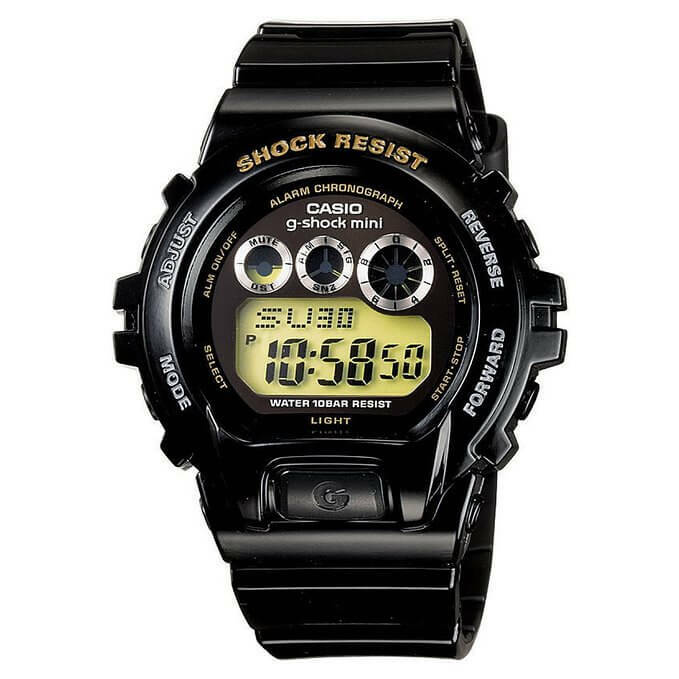 Casio G-Shock watches are a great choice for kids and their active lifestyles. With a G-Shock you don’t have to worry about them damaging the watch at all. They can wear it during play and sports without worry. 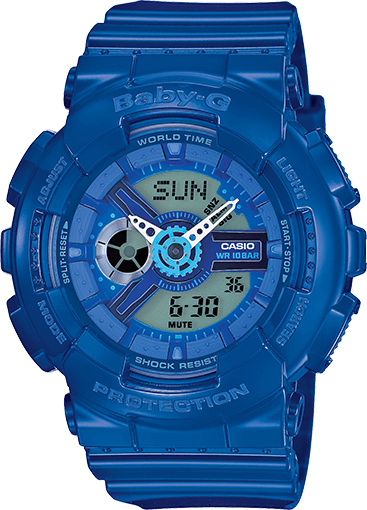 For smaller children under 10, you may want to consider the Casio Baby-G line. 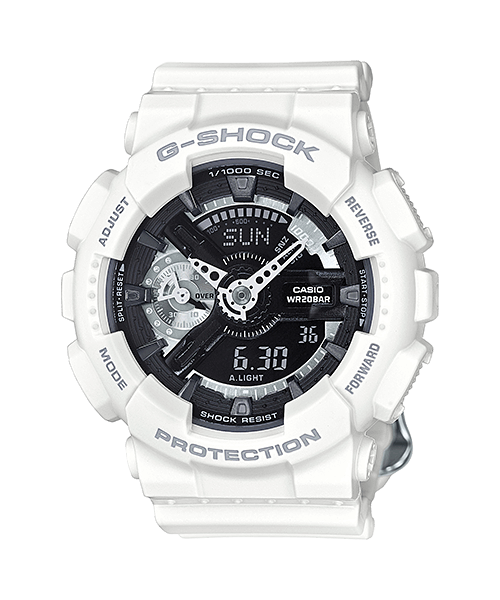 A sister brand to G-Shock, the Baby-G line has the same shock resistance and high-quality construction as a G-Shock. They are also water resistant to at least 100 meters making them suitable for swimming. Baby-G is designed for women but is also a good choice for children due to its smaller size. 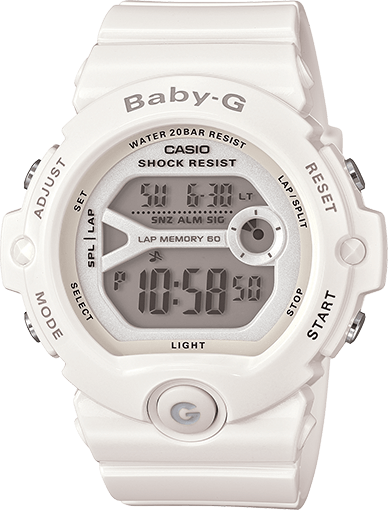 Many of the Baby-G models have unisex styling that would be appropriate for both girls and boys. Compared to G-Shock, Baby-G watches are somewhat pricier and lack some of the advanced features like Tough Solar and Multi-Band 6 unless you opt for the pricier import models. If your child doesn’t want the word “Baby” on his/her watch, we’ve also included the G-Shock Mini first in this list and also a few G-Shock S Series watches. The S Series is designed for women and the colors tend to be less appropriate for boys, but there are some unisex models. You can also look into an affordable standard-size G-Shock which may be good for older kids, as these are not the extra-large models. That list includes the classic DW-5600 model which is on the smaller side (48.9 x 42.8 x 13.4mm) and may be suitable for older boys and teens. The following G-Shock watches are recommended for kids. The GMN-691 is 30% smaller than the G-Shock DW-6900 it’s based on. The advantage to this model is that if your child is getting older and self-conscious but is still not big enough for a full size G-Shock, the watch says “g-shock mini” on it and not “Baby-G.” Also it is a good option for men who want a smaller watch. The GMN-691 is also available in several colors and check the GMN-692 links for even more. Dimensions are 47.4 x 39.6 x 12.9mm. Features include 100M water resistance, world time, stopwatch, timer, 5 alarms, auto calendar, button tone on/off, EL backlight, and 3-year battery. See more G-Shock Mini models here. 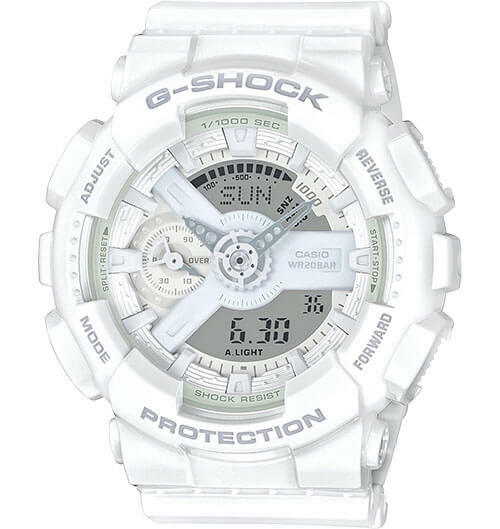 However, the G-Shock Mini is an older model so the battery may expire sooner than expected. 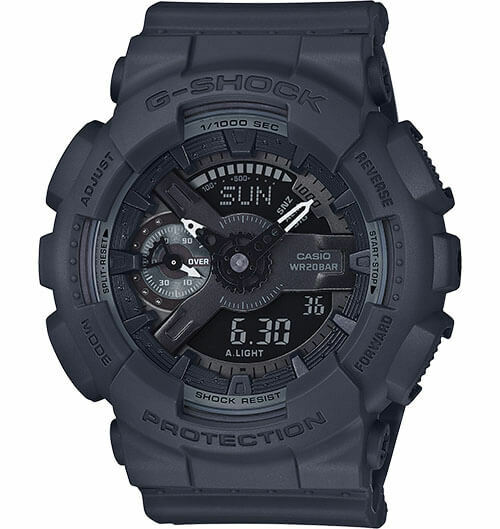 The GMDS6900SM-1 is a stealth black S Series G-Shock with a reverse LCD display. This black color is a little different with a textured look. The picture makes it seem like the watch is sparkly but it’s actually more of a stone-like look and appears more subdued in this video. It’s one of the more traditional and gender-neutral colors available in the S Series and would be suitable for boys. The GMDS6900 measures 48.8 X 46.0 X 12.7mm. 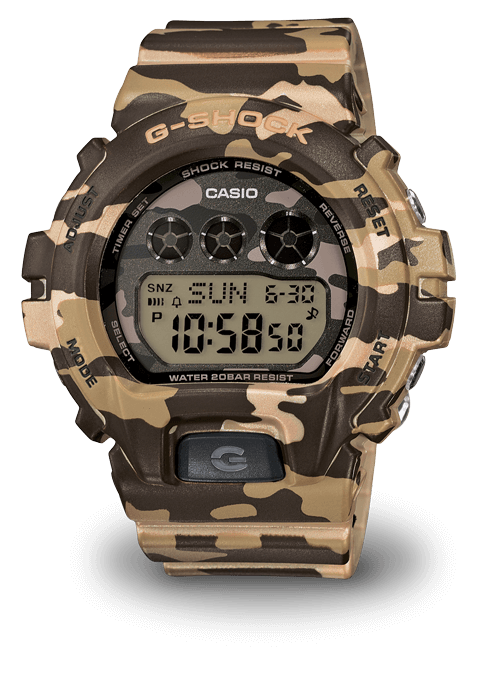 The GMDS6900CF-3 is a G-Shock S Series watch with a brown camouflage design. This model and the black one above may be the most appropriate GMDS6900 watches for boys who are not yet big enough to wear a standard G-Shock DW6900, though they are bigger than the G-Shock Mini watches. Here is a plain white model with a black and gray face that is one of the more unisex-friendly GMAS110 watches. 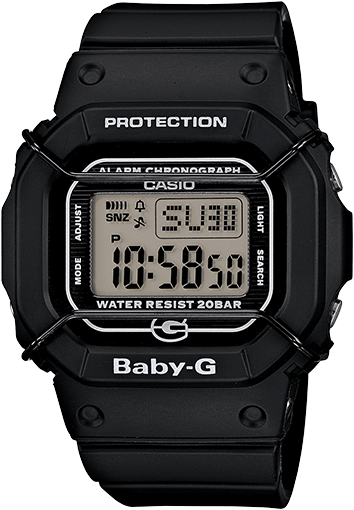 This watch measures 49.0 x 45.9 x 15.8mm which makes it a little larger than the Baby-G BA110 below. The BA110BC is a tough-looking analog/digital hybrid that is the mini version of the popular G-Shock GA110. Unlike the rest of the models on this list, this watch is only water resistant to 100 meters rather than the usual 200, but that is still fine for swimming. It is also available in blue, black, or yellow. Dimensions are 46.3 x 43.4 x 15.8mm. Features include 100M water resistance, LED backlight, world time, 5 daily alarms, hourly time signal, stopwatch, countdown timer, full auto-calender, 12/24 hour formats, button tone on/off, and 3-year battery. The BGD500 has the retro styling of the first G-Shock ever made and is the smallest watch on this list. It has a wire face protector to protect the screen from damage. It is available in black, yellow, and green/purple. Also see the BGD501 links for more colors. Dimensions are 44.7 x 40.0 x 12.5mm. Features include 200M water resistance, EL backlight, world time, 5 daily alarms, hourly time signal, stopwatch, countdown timer, full auto-calendar, 12/24 hour formats, button tone on/off, and 3-year battery life. 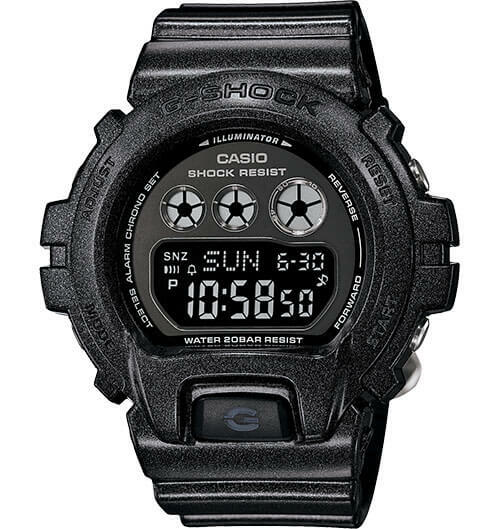 The BG6903 is based on the popular DW6900 G-Shock case. It has a seven-year battery life, making it a great hassle-free choice for kids. It has a data memory for 60 lap/split time records, making it a good choice for future runners and athletes and women who are looking for a lightweight running watch. Unfortunately it only comes in lighter colors that not all boys may like. Dimensions are 49.1 x 45.0 x 13.5mm. Features include 200M water resistance, EL backlight, dual time, 3 alarms, hourly time signal, stopwatch, countdown timer, full auto-calender, 12/24 hour formats, button tone on/off, and 7-year battery life. 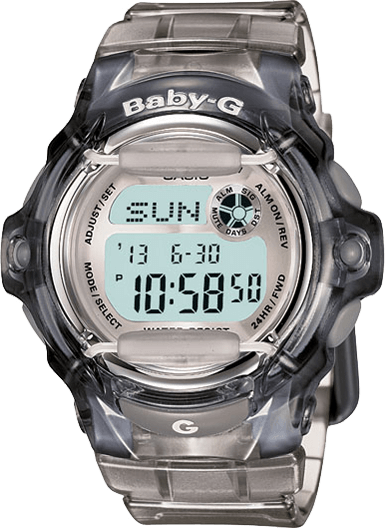 The BG169R is the most affordable Baby-G watch and includes a screen guard for extra durability. It has some extra features like a databank that can hold 25 sets of names and phone numbers. It also has a day counter that will show the days remaining until a specified date, which would be great for children counting down to a birthday or holiday. It comes in a variety of colors that would suit any kid including black, white, pink, and aqua. Dimensions are 45.9 x 42.6 x 15.4mm. Features include 200M water resistance, EL backlight, 25 page databank, world time, day counter, 5 daily alarms, hourly time signal, stopwatch, countdown timer, full auto-calendar, 12/24 hour formats, button tone on/off, and 3-year battery life. The GMAS110CM-8A is part of the new S Series Military Collection featuring matte colors. While most of the models in that collection have a rose gold index, this dark gray stealth model has a darkened face and would be a good choice for boys. Though the G-Shock S Series is originally a women’s line, there is no mention of that on the watch and this is perhaps the toughest looking S Series watch available. The GMAS110CM-7A1 is an all-white S Series model with gray lettering and hands from the same collection mentioned above. This S Series watch is from the recently released G-Shock GMAS120MF Series and features a metallic-style face inspired by wheels and racing. 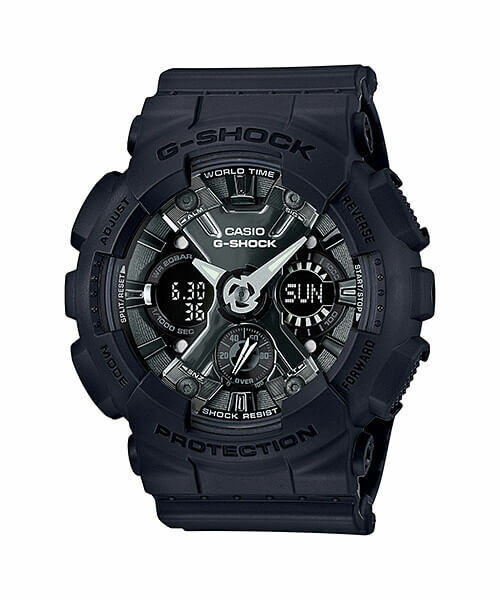 This is another tough-looking black G-Shock that is suitable for boys. The collection also features unisex light gray and white models that would be appropriate for all kids. Wanting to get G for my 10 yr old grandson in gold. Any suggestions? Bought an s series for his older brother. I think the only option for a gold non-Baby-G watch is the G-Shock GMDS6900SM-9 which is only available on eBay now. I am in search of a g-shock for an 8 year old girl. Any suggestions? I am looking for a silver youth digital watch. He is 12 years old. Any suggestions? Maybe a regular Casio digital watch like the A158WA-1. It can be adjusted to fit smaller wrists. This watch will most likely scratch to easily since the glass is way to exposed… I got a similar watch for my daughter and it had so many scratches after a few weeks it looked like crap. The problem is not usually the size of the clock, but the wristband. How is the wrist band fit for a 7-year old? It should be wearable but it would depend on the child. What kind of connection to the wrist band does G-SHOCK MINI GMN-691 have? Is it a standard connection like a 16 or 18 mm pin so you can replace the wristband, or is it costumed for this watch?